Sometimes configurable off-the-shelf applications and templates do not meet an organisations specific business requirements or a fully tailored solution is desired. In these cases GIS development is required to create custom desktop, mobile and web applications using available SDKs and APIs. 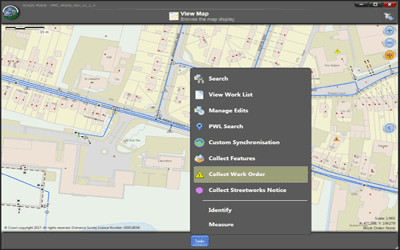 GIS4BUSINESS has the GIS development expertise and GIS domain knowledge to design and build custom desktop, web and mobile GIS and mapping applications. 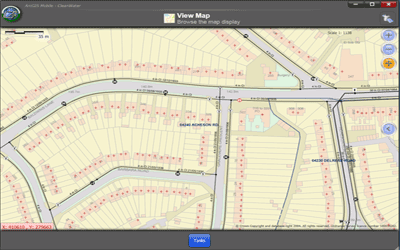 We can also assist with embedding GIS or mapping functionality within existing applications or web sites. We use software development best practices to develop quality applications quickly and can assist with testing and deployment. We can also provide ongoing support for custom built applications. GIS4BUSINESS assisted Portsmouth Water with the integration of their existing Esri enterprise GIS solution with IFS, a new corporate finance and work management system, including back-end and mobile GIS components. 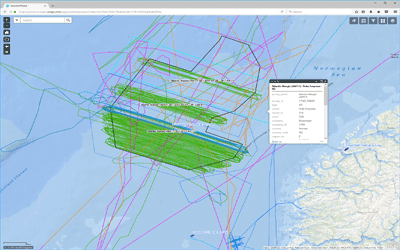 GIS4BUSINESS enabled Seisintel to better support their Esri customers worldwide by integrating their data services with ArcGIS Online, making various datasets available in near real time using custom data synchronisation. 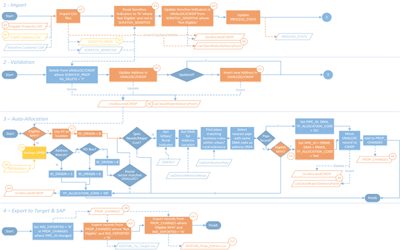 Design review, code review and support during development and testing from GIS4BUSINESS enabled Accenture and Severn Trent Water reduce the risk involved in making code changes to an existing ArcGIS Mobile solution. Competition for business customers within the water industry and the separation of the retail and wholesale business required that Severn Trent Water implement GIS updates to handle non-household customers differently. 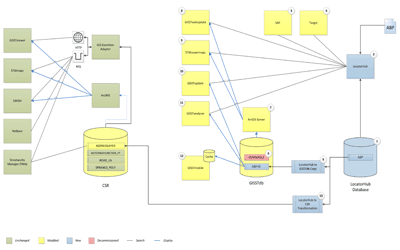 GIS4BUSINESS were involved in design, development and implementation of changes to existing systems, including GIS, during the implementation of a corporate address management solution at Severn Trent Water. Migration to OS AddressBase Premium represented a significant change. 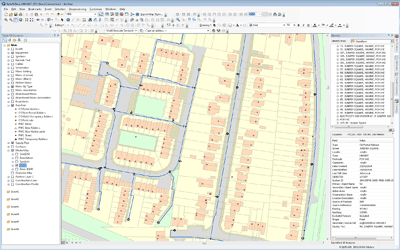 GIS4BUSINESS undertook the design and development of required changes to the existing database schema and custom gazetteer tools within Portsmouth Water’s enterprise Esri GIS solution. 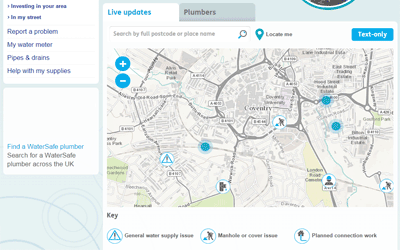 GIS4BUSINESS were involved in the design and development of Severn Trent Water's updated web and mobile customer incident display map and reporting pages, known as ‘In My Area’. 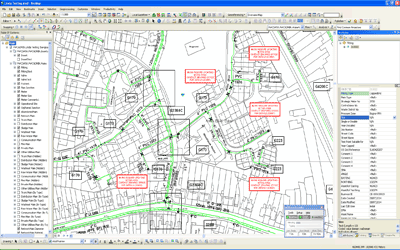 GIS4BUSINESS were requested to work alongside Esri UK to undertake an ArcGIS upgrade for Portsmouth Water. 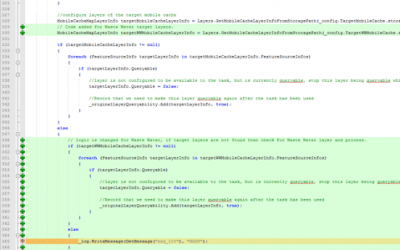 Desktop customisations were upgraded, geodatabase changes implemented and training related to the upgrade was delivered. GIS4BUSINESS provided technical GIS consultancy including feasibility, design and development as part of the delivery of a replacement mobile GIS solution for over 1700 field users within Severn Trent Water. If you are interested in any of our products or services, contact us today and we will be happy to discuss your requirements. Copyright © 2004 - GIS4Business Ltd.
Map data - © Crown copyright and database rights () OS (100049225). Contains Royal Mail data © Royal Mail copyright and Database right . Contains National Statistics data © Crown copyright and database right . Contains public sector information licensed under the Open Government Licence v3.0. © OpenStreetMap contributors.